Happy Friday Everyone!! Hope everyone is having a good breeding day! Today I wanted to tell you about the great time we all had at The Amaretto Bull Riding Event, if you were not there you missed a great time! Everyone was trying their best to stay on Bart the bull as long as they could. I want to congratulate the winners! Congratulations to all the winners!! Thank you all for coming out and making this event a success!! I am including some pictures of the event! 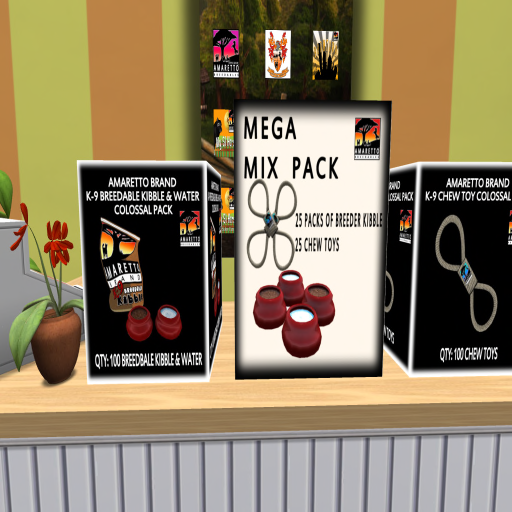 Amaretto Boomtown – A Great Place to Visit! Hi Everyone! I hope you’re all having a great week. I wanted to talk to you all today about a very special place that Amaretto has for you to go and hang out, talk, explore and just have fun. That’s right I’m talking about Boomtown! If you’ve not explored the Boomtown sim you are really missing out. There are lots here to do and see. 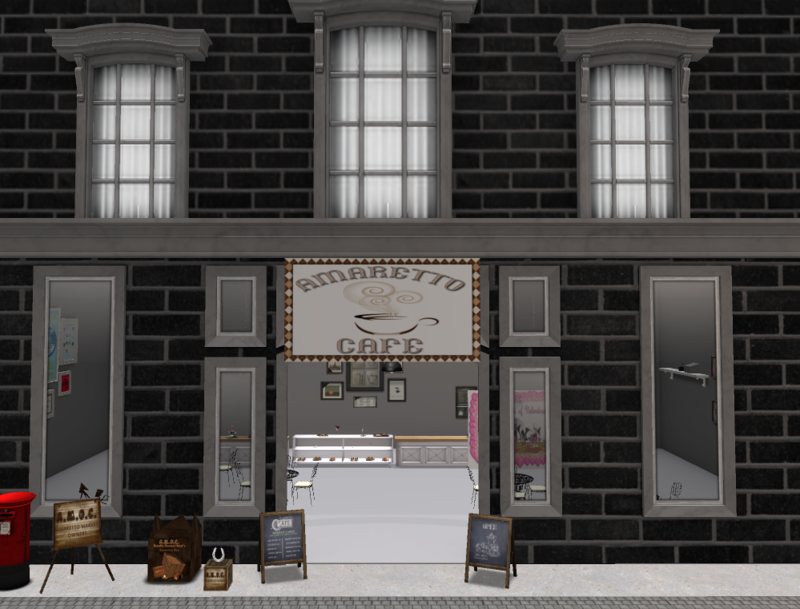 The Boomtown sim is a beautiful place you can go to hang out with other members of the community and possibly run into some of the Amaretto Team while you’re there. Amaretto hosts most all of its many events here every month. Keep your eye on the events calendar on the Amaretto Social Network for all the fun. 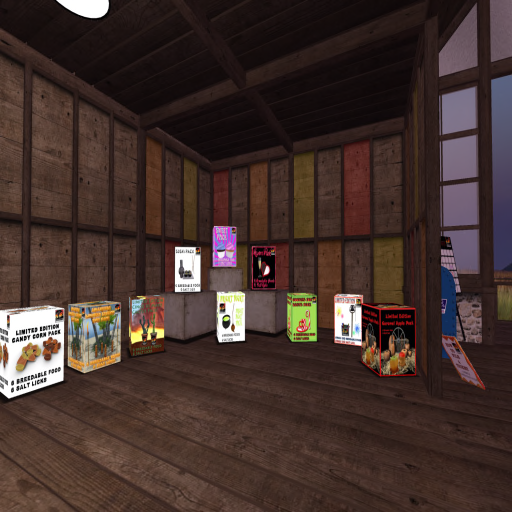 Below you can see pictures of some of the great places Boomtown offers. 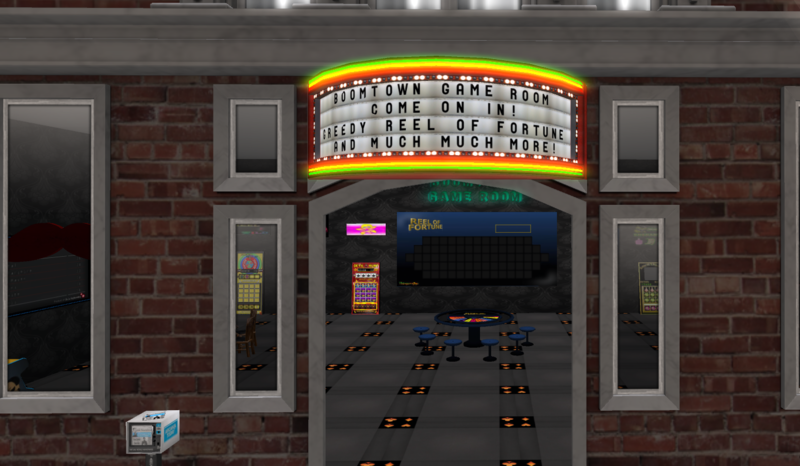 You can start out at the Café and walk over to the Game Room. 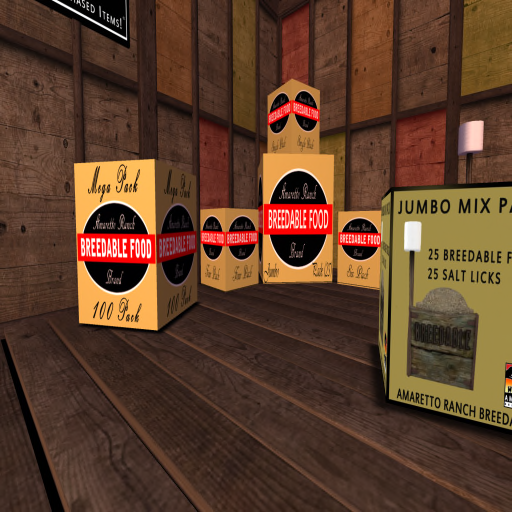 How about some fishing on the dock at Boomtown or a bit of dancing at Club Amaretto? All fun things to do! 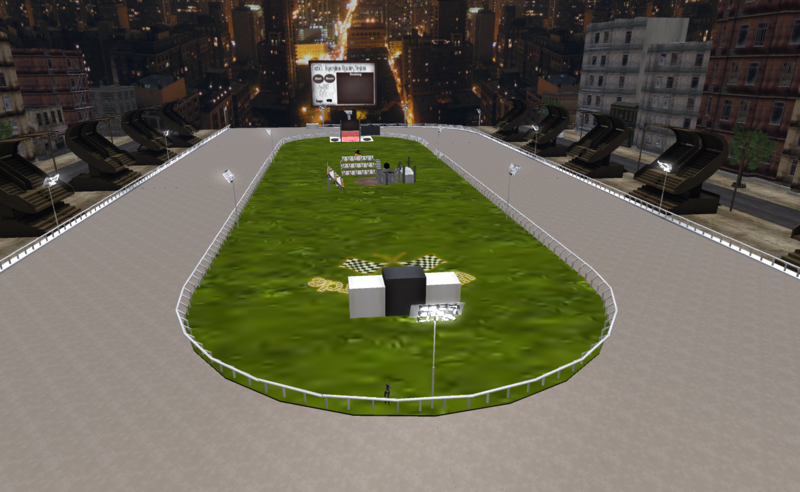 We even have a great place to train your horses up in the sky at Boomtown where you will find the Amaretto Racetrack. So be sure to head over to Boomtown and check out all there is to see! 1. 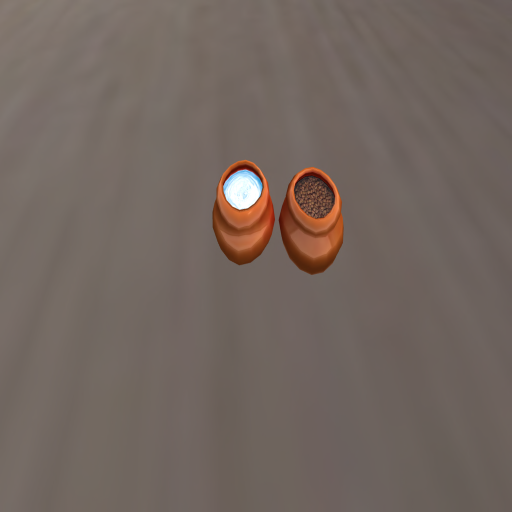 Breedable Kibble & Water- This is the food you must use if you wish to breed your K-9’s. 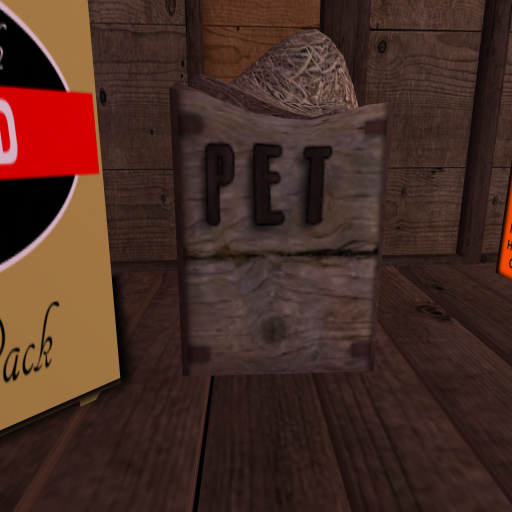 2, Pet Kibble – you can use this type if you do not want to breed your K-9’s, or if the k-9 is retired. If you decide to breed your k-9 after feeding it Pet Food, it will take 7 days on Breeder Food for the effects of the Pet Food to wear off. 2. Rez you food out near the home position area, and within the range area you set your K-9’s to. 3. Make sure that the food is set to the same group as your K-9’s..So often the food is in one group and the K-9 in another. The food is set to feed only those in the same group and before you know it you have sick K-9’s. Food can be set to Group only, Owner only, or all. 1. Owner only: Will only be consumed by the owners K-9’s. 2. Group only: Will only be consumed by K-9’s in the same group as the food/water is set to. 3. All: Any K-9 within range of the food/water will be able to consume it. 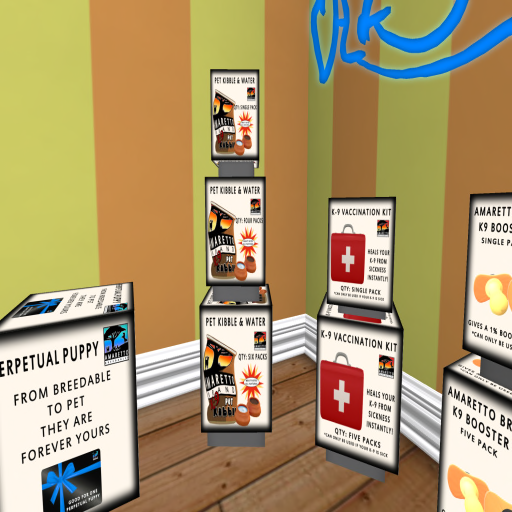 Amaretto Ranch Breedables suggests that you have only 8 K-9’s to one breedable food and chew toy. How much does a K-9 eat? My K-9 is not eating! If you see your K-9 is at say 10% hunger/thirst, it’s time to swing into action! First thing is to double check all the things mentioned above. If all of that looks correct, try picking your K-9 up into inventory and then rezzing it out again. Sometimes that’s all it takes. However sometimes your K-9 is not eating because there is no food available or within range. Be sure to double check that you have food out and it’s within range of your K-9s. Twisting time is here again and this time we are combining the Chimera Brindle and Clydesdale!! From March 5th 2014 until April 5th 2014 you can breed any color of Chimera Brindle and any color of Clydesdale together and you have the chance of discovering a brand new coat designed especially for the Twist called Chimdale! The difference between the Twist horses and the Show horses is the coats you discover each month will have the ability to pass! Of course each will also come with a very cool twist eye that will pass as well. So just to be clear you need to breed one Chimera Brindle of any color and one Clydesdale of any color together in order to have a chance at getting one of the brand new Chimdale! Our K9s want to twist too so from March 5th 2014 until April 5th 2014 If you breed any color Boxer with any color Dane you have the chance of discovering a brand new coat designed especially for the Twist called Bane! The difference between the Twist K-9s and the Best in Show K-9s is the coats you discover each month will have the ability to pass! Of course each will also come with a very cool twist eye and collar that will pass as well. So just to be clear you need to breed any color Boxer with any color Dane in order to have a chance at getting one of the brand new Banes! Twist it up and Happy Breeding! Beads, Music, Dancing, and Masks! It’s that time of year …. Mardi Gras!!! 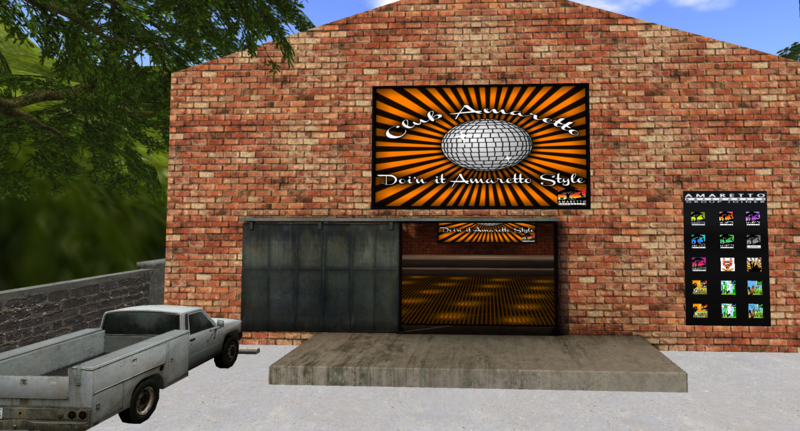 Join us on Tuesday March 4th 2014 at 4pm slt for a party to remember! I am hosting a Mardi Gras party that you do not want to miss! There will be music, dancing, laughter, prizes, and lots of fun! 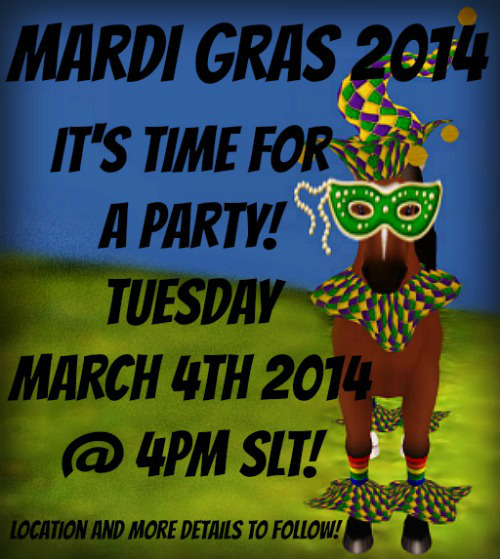 So get those Mardi Gras costumes ready, grab your masks, or throw on a jester hat and get ready for a good time! Did I mention we would have prizes!? Mark your calendars now! Until next time…. Happy Breeding!!!!! Helpful Info at every store! 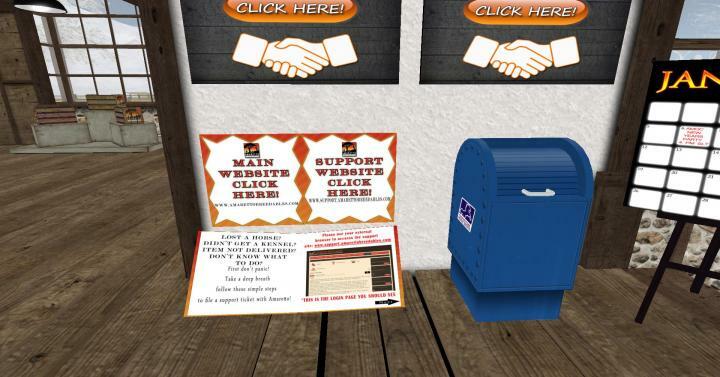 I occasionaly get questions on where to find information about the website and the support site. For some time now there has been weblinks to both our website and support site as well as a free book on how to file a support ticket at every Amaretto location (24 total!). I wanted to just let everyone know that may have missed these or is new to the Amaretto community. Also there is a very helpful video on how to sign up and file a support ticket under the help tab>Video Tutorials> (LINK)>Ticket System. Stop by any of our (LINK)>store locations and pick these up for free and keep them at you ranch or where ever you may need to get the info quick. Hope this helps and Happy Breeding! Hey guys! How is everyone today? Well im doing great! Thanks for asking, anyways i know you guys have been waiting on pins and needles to see the 23rd trait! Well here it is the horn!! Here are the two that I managed to snap a pic of in world! Presenting to you Horn Bloom and Horn Shadow! Who knows what else is on its way! 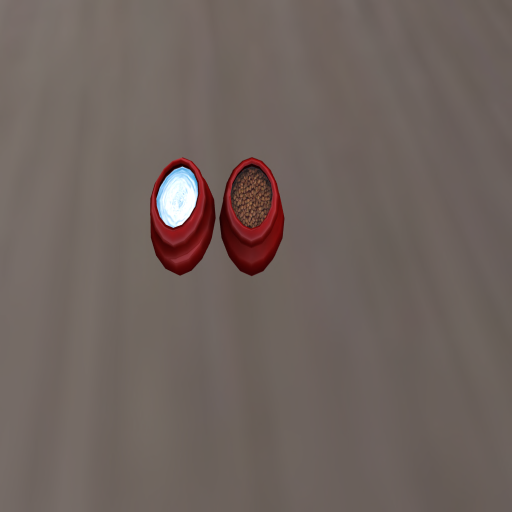 Remember guys that if your le’s do not pass the trait to the off spring, the off spring will not have the horn as a hidden! The horn does have the ability to pass on! I know a few of you are wondering where you get your horn? Well there is still time! Thats right the Valentine LE’s are still available until tomorrow! . Here’s the catch, In order to have a chance at getting this 23rd trait you must breed 2 2014 Valentine Limited Edition horses together. So, if you want a chance for a horn you must breed 2 2014 Valentine LEs together. The 2014 Valentine Limited Edition Horses will be sold for $895L. So if you haven’t yet or want more chances head out to any Amaretto location and get yours before they are gone!!! Happy Friday Everyone ! Hope you all having a good breeding day ! Today i would like to talk to you about The Amaretto Websites an also where you can find information about Amaretto Breedables! First, lets start with the Amaretto Network on this site you can find alot of information. 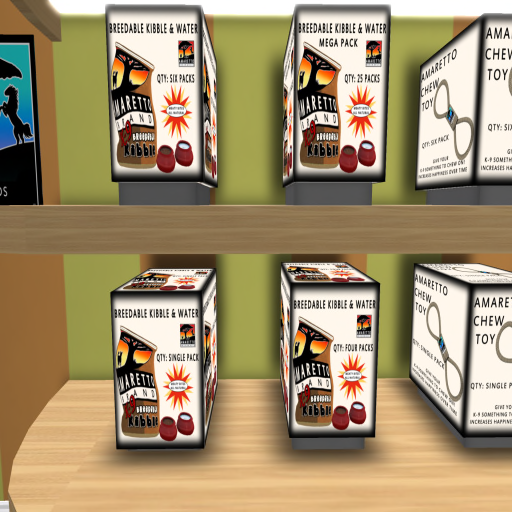 So, as you can see when u visit the Amaretto Network alot of information ! Any question you have about Amaretto Breedables are listed here horses, k-9’s an barnyard birds . So as you see plenty of information. So you see their are alot of help out there for you to see. Also you can check out Amaretto Facebook ! Happy Thursday everyone! Hope you’re having a great breeding week! 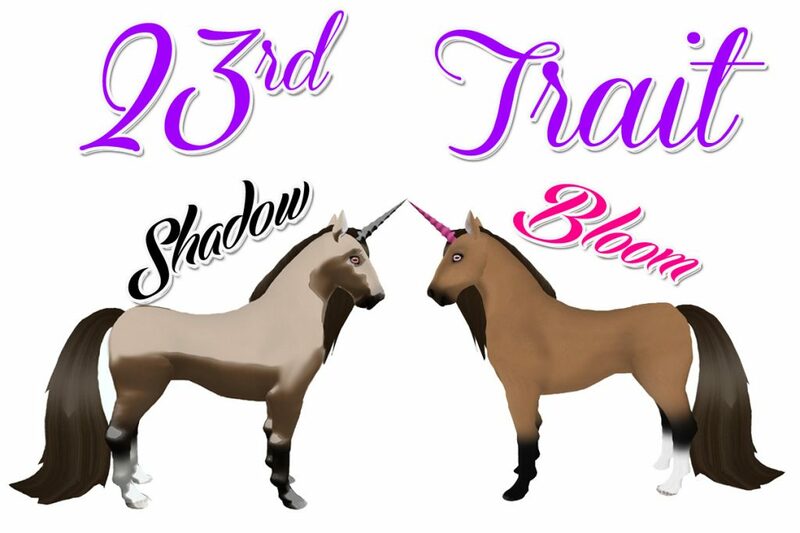 The excitement is in the air for the arrival of the 23rd trait! I for one can’t wait until the bundles start dropping. 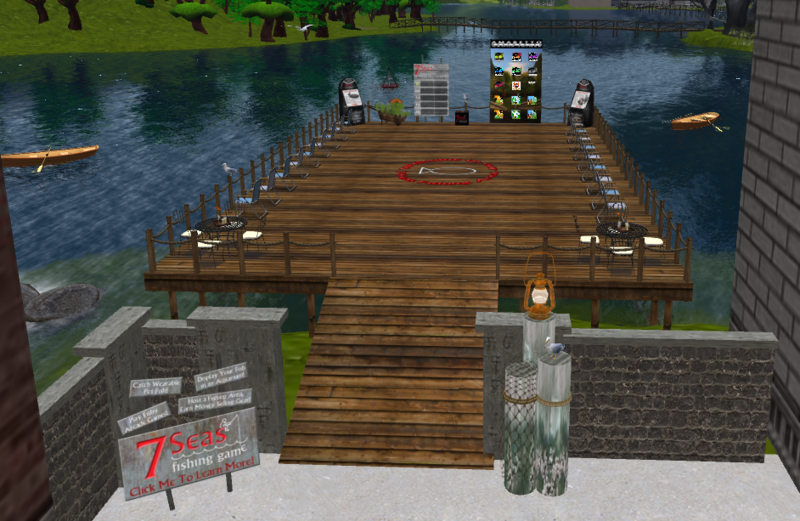 While we’ve all been anxiously awaiting the arrival of the new bundles we took time out for a fun Fishing Tournament Event today over at Boomtown’s Fishing Dock. 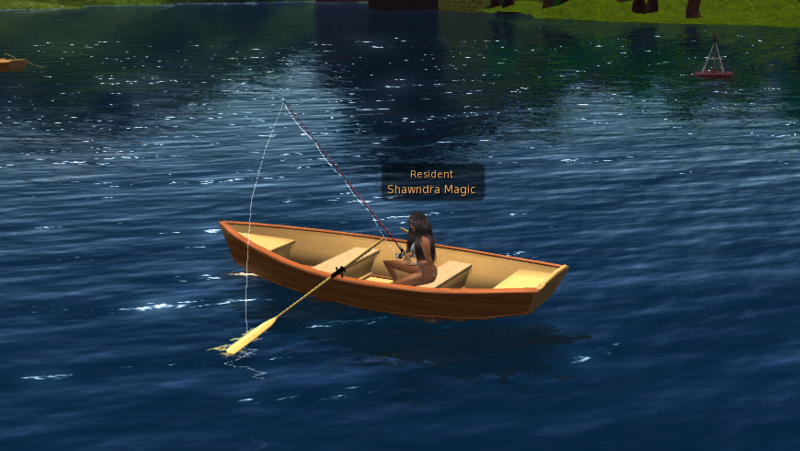 These events are so much fun, what with the hilarious conversations we have while there to the really cute names of the things people catch with the 7 Seas Fishing Poles. I would like to really encourage you to attend the events we have as they are lots of fun and sometimes informative! Check out the pictures below from today’s event and see if you see anyone you know! 1. 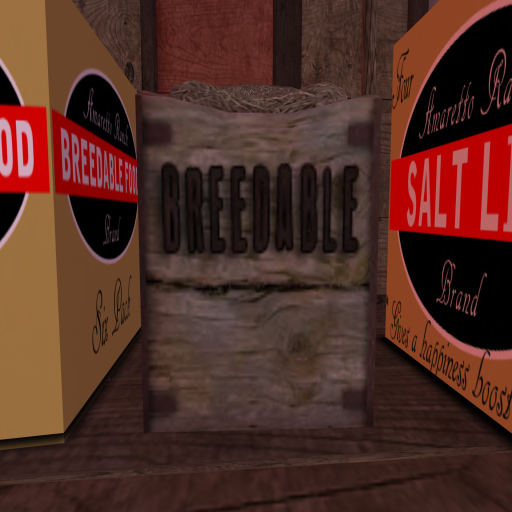 Breedable Food- This is the food you must use if you wish to breed your horses. 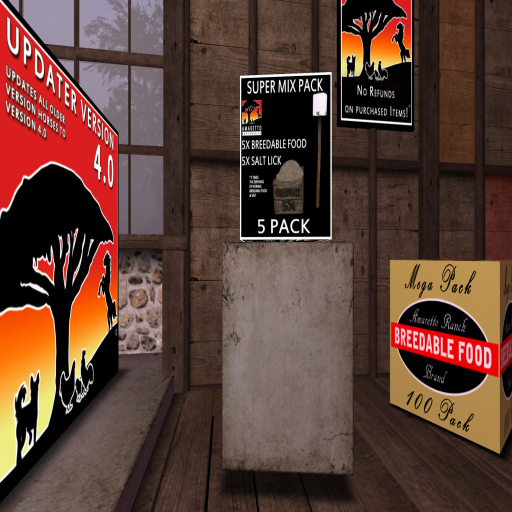 2, Pet Food- you can use this type if you do not want to breed your horse, or if the horse is retired. If you decide to breed your horse after feeding it Pet Food, it will take 7 days on Breeder Food for the effects of the Pet Food to wear off. Feeding your horses is very simple. 2. Rez you food ou near the home position area, and within the range area you set your horses to. 3. Make sure that the food is set to the same group as your horses..So often the food is in one group and the horse in another. The food is set to feed only those in the same group and before you know it you have sick horses. 1.Owner only: Will only be consumed by the owners’ horses. 2. 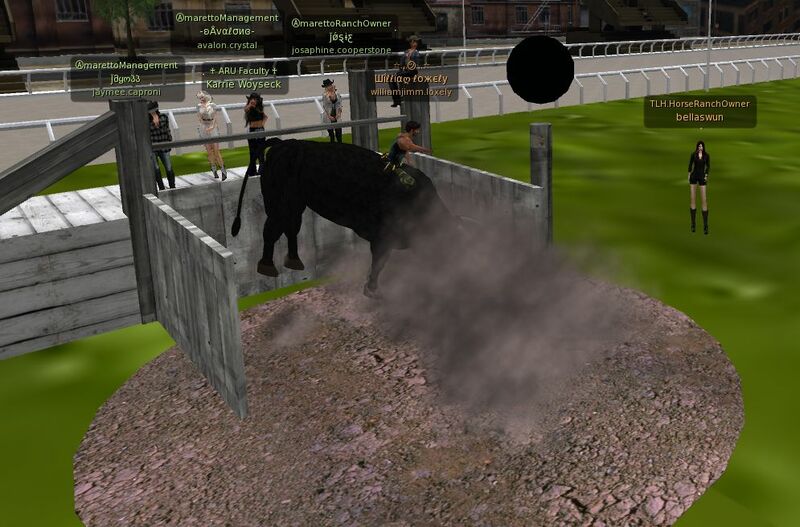 Group only: Will only be consumed by horses in the same group as the Breedable food is set to. 3.All: Any horse within range of the Breedable food will be able to consume it. Amaretto suggests that you only have 8 horses set to one food. How much does a horse eat? My horse is not eating! If you see your horse is at say 10% nourishment, it’s time to swing into action! First thing is to double check all the things mentioned above. If all of that looks correct, try picking your horse up into inventory and then rezzing it out again. Sometimes that’s all it takes. However sometimes your horse is not eating because there is no food available or within range. Be sure to double check that you have food out and it’s within range. My horse is 100% nourishment.